Anuel AA managed to spend a second week at the top of the Top Latin Albums rankings, dated the 4th of August. He has achieved the feat with his debut album called ‘Real Hasta La Muerte’, following the first complete week of ranking. The trap singer from Puerto Rica had his album debut at the top of the Top Latin Albums Chart, for the first time on the weekly rankings released on the 28th of July. This was preceded by an incomplete week (ending the 19th of July), as the set was launched on the 17th of July, the same day he was released from prison. According to Nielsen Music, the album managed to earn a total of 13,000 equivalent album units, during the week that ended on the 26th of July. The total was an increase of 10 percent from the previous week, but also the fourth-largest for a Latin album released this year. ‘Vibras’ by J Balvin has sold the most album units for a Latin album in 2018, with 22,000 equivalent units. It is followed by ‘CNCO’ by CNCO at No. 2 with 16,000 units and ‘F.A.M.E.’ by Maluma at No.3, which managed 15,000 units. Additionally, on the Hot Latin Songs chart, Anuel AA enjoys four spots in the rankings, with the highest one being ‘Brindemos’ that features Ozuna, at No. 19. Next comes, fifteen places down at No. 34, a track called ‘Na’Nuevo’. Following it at No. 35 is ‘Quiere Beber’ and ‘Yeezy’, which features Nengo Flow, at No. 45. Meanwhile, there were other changes on the Hot Latin Songs chart, with ‘Mi Cama’ by J Balvin and Karol G, while also featuring Nicky Jam, coming in at No. 9. The track climbed up three places from No. 12 and earned Karol G her second song to feature in the top 10, while also being her highest entry on the chart. 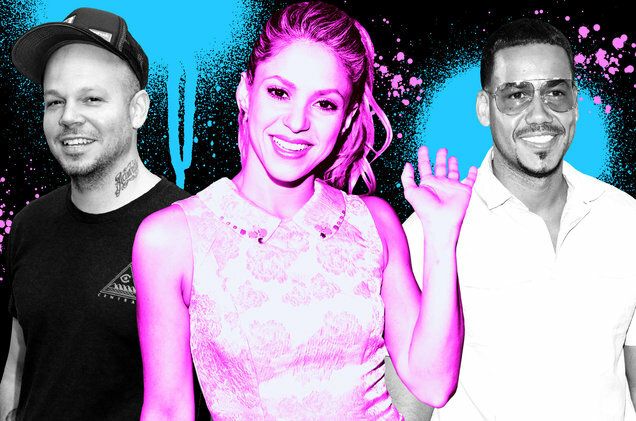 As far as the top of the rankings of Hot Latin Songs is concerned, there was a familiar tune occupying the spot. ‘Despacito’ by Luis Fonsi and Daddy Yankee, which also features Justin Bieber, made a return to No. 1 for the first time since April. The song furthered its record appearances, which now stand at a total of 53 weeks. This sudden climb in the rankings is mainly due to the streaming numbers of the song, as the track earned a total of 15.9 million streams in the United States, during the week. This also helped the song rise on the Streaming Songs chart, as it climbed eight places from No. 29 to finish the week at No. 21. At No. 5 in the Top Latin Albums chart, is ‘Mitad y Mitad’ by Calibre 50, who have managed to enter the chart-frame of top 10 for the eleventh time in their career. Not only that, the album has also earned a spot at No. 1 in the rankings of the Regional Mexican Albums. This means that the group now have seven appearances at the top of the chart.